Will Inspire notify my utility that I’m switching to Inspire? Will I receive a second or separate bill from Inspire for my Energy Supply? Will Inspire cost more than my current utility? Is there any new equipment or change required to switch my energy supply service? How does a clean energy subscription plan work? Can I cancel my Inspire Membership? Yes. To review your plan’s cancellation term, you can reach out to our friendly Member Support team through email, chat, or by calling us at (866) 403-2620. Yes. Once you sign up, we’ll take it from there! We will notify your local utility about your request to switch, and before you know it, your home or business will be connected to 100% clean energy. No. Once you make the switch to Inspire, we will take-over to supply your energy, but your utility will still manage delivery of your electricity, including responsibility for your poles, meters, wires, and outages. That means you will continue to receive and pay one bill directly through your utility, and you will see Inspire charges listed under the supply portion of your bill. Will I find Inspire listed on my regular utility bill? Yes. Inspire’s supply charge will appear under the generation portion of your bill. It's often located after your distribution charges, which your utility still controls. No. Inspire is one of the easiest ways to make a big difference. Inspire works with your existing utility service, so you don’t have to install anything and your power won’t be interrupted. Will my service be interrupted when I sign up with Inspire? No. Your energy supply account will seamlessly transition to Inspire with no interruption. Can I become an Inspire member if I’m on a budget billing or equal payment plan? In some situations, Inspire will seamlessly become part of your monthly budget charge. In other situations, your budget may need to be adjusted. We recommend reaching out to us after enrolling to review how Inspire will work with your budget. What states does Inspire operate in? Inspire has members in Pennsylvania, Massachusetts, New York, New Jersey, Maryland, Ohio, and Illinois. Together, our members are helping us add more clean energy to the grid. It’s easy! You can enter your address here to see clean power plans available in your area, or just call our friendly Member Support team at (866) 403-2620. Choosing clean power takes less than 5 minutes! I live outside of Inspire’s markets. When are you coming to my area? We are committed to bringing clean energy to as many markets as possible. To stay up-to-date on new markets launches, please follow us on Facebook, Instagram, and Twitter for future updates. It depends on several factors such as your personal usage patterns, weather and current market rates. Inspire offers a variety of 100% clean energy plans and options to help you find one that works for you, but we don’t guarantee savings compared to your utility. What is a deregulated market? In a deregulated energy market, policymakers have given consumers the freedom to choose how to power their home or business. With the ability to select from a number of energy supply options, you can find the energy supplier that is right for you and your home’s needs. Currently, there are 18 states that have adopted some form of deregulation and more are on the way. What is a kilowatt-hour (kWh)? Energy consumption is commonly measured in kilowatt-hours (kWh). A kilowatt is a unit of measure for energy. A kWh represents the average amount of energy all of your devices pull from the grid each hour. Your home’s monthly kWh usage is measured using a meter connected to your house. This meter is then read by your utility to assess your monthly energy usage and therefore, calculate your monthly bill. 1,000 kWh are equal to a megawatt-hour (MWh). Clean energy, oftentimes referred to as renewable energy, represents a non-polluting and sustainable form of energy used to power our lives. Wind and solar energy are just a few examples of clean energy & renewable sources. Because we have an abundance of wind & sunshine, we can tap into these resources without depleting anything from the climate.  The opposite end of the energy spectrum includes resources that are limited, such as coal, oil and natural gas. These energy sources are typically burned to generate energy, creating harmful greenhouse gases that pollute the air and contribute to climate change. By limiting our dependence on these finite resources, we can make a strong impact on our environment with one simple switch to clean energy. Renewable Energy Certificates (RECs), also known as renewable energy credits, represent the environmental benefits of renewable energy production. Renewable energy producers, such as wind farms, can earn one REC for every megawatt-hour (MWh) of electricity they generate and add to the energy grid. RECs are verified and tracked by third parties, ensuring that just one REC is awarded per MWh of renewable energy produced and can only be used once. By producing RECs alongside the energy commodity, renewable energy projects are able to get compensated for the environmental benefit they provide. Over time, this can stimulate increased demand for renewables. What’s the difference between a REC and a carbon credit? A single carbon credit represents one ton of carbon emissions — or often greenhouse gas emissions more generally — that was avoided or otherwise offset. Carbon credits are used by businesses and countries to comply with regulations and commitments to reduce their output of climate warming emissions. Carbon credits can be purchased to offset emissions, which provides financial support to many carbon neutral or carbon offsetting efforts, such as renewable energy projects, forest protection and reforestation. RECs, on the other hand, are specific to renewable energy production.  They can be purchased by residential and commercial customers to match up their energy consumption with clean power. A wind farm represents a group of turbines that provide power to the grid without creating pollution or carbon emissions. To learn more, check out our blog post on this topic. Where does Inspire’s renewable energy come from? Inspire purchases wind RECs (or 100% clean power) from wind farm projects throughout the U.S.
Energy is commonly measured per kilowatt-hour (kWh). A kWh represents the average amount of energy all of your devices pull from the grid each hour. Your home’s monthly kWh usage is measured using a meter connected to your house. What type of renewable energy does Inspire offer? Today, we purchase energy from the grid plus RECs from renewable energy projects, like wind farms, across the country for each megawatt-hour (MWh) of energy our members use. How clean is my energy?  Like a smoothie, your power grid has lots of ingredients.  Most existing power companies connect you with energy sources from fossil fuels, like natural gas and coal, that must be burned to generate energy. This burning of fossil fuels creates pollution in the atmosphere that impacts us all. By choosing Inspire, you are ensuring that pollution-free wind power is produced and placed on the grid for every kilowatt-hour (kWh) you use.  Learn more about your state’s energy “smoothie” below. How does the grid work? Whether energy is generated from a coal plant or a wind farm, all energy gets placed onto regional grids once it has been produced. Power is carried from that regional grid through high voltage transmission lines to demand centers, where distribution power lines carry power into people’s homes. Can I still sign up for Inspire if I have rooftop solar? Yes. Many homes with solar panels still require more power than their panels can generate. To help supplement that renewable solar power, it makes perfect sense to add Inspire clean energy to meet your energy needs. Are there tax benefits to being an Inspire member? No. There are no tax benefits to being an Inspire member. Is it more expensive to choose clean power for my home? As a technology, the cost of wind power has decreased exponentially over the last few years. This means that wind power isn’t necessarily more expensive than any other form of energy. A deregulated market means you get to choose how to power your home or business! In a deregulated market, policy makers have decided to allow consumer choice when it comes to which energy companies provide energy for people’s homes and business. Currently, there are 18 states that have adopted some form of deregulation and there are more on the way. With our variable rate plans, your energy supply rate per kWh is tied to market fluctuations and energy needs, which means your rate, and your monthly bill can change each month. Similar to the stock market, the energy supply rate can go up and down, depending on external factors. Some of our members prefer this month-to-month plan option as it offers flexibility and does not have an early cancellation fee. With our fixed rate plans, each kWh is charged at a pre-priced rate for a predefined term length, often 6-, 12-, 24- or 36-months. Some of our members prefer this option because they value stability and price protection since their kWh rate remains stable throughout the length of their term. With our Inspire One plan, you pay one flat monthly subscription price each month for the duration of your term, rather than being charged a rate per kWh. This flat monthly payment is based on your home profile and energy usage. Inspire One provides all potential members with an individualized subscription plan that is unique to their home. *Note that not all plan options are available to all customers. Enter your address here to find out what plans are available in your area. How does a variable plan work? With our Inspire variable plan, your energy supply rate can change each month. Some of our members prefer this month-to-month plan option as it offers flexibility and does not have an early cancellation fee. How does a fixed plan work? With our Inspire Fixed plans, you are charged per kWh at a pre-priced rate for a 6 or 12 month term. With our Inspire One plan, you are not charged per kWh. You pay one secure energy supply price every month, for the term of your contract, which is based on your home profile and energy usage. This is how we are able to provide all potential members with an individualized subscription plan that is unique to their home. Each member’s energy usage needs differ. Because each Inspire member is unique and has a specific energy profile, we recommend our Inspire One clean energy subscription plan. This plan provides members the easiest way to predict your monthly electricity supply bill with one flat rate payment each month. Why does subscription make sense to me when my bills are low in Spring/Fall? Heating & cooling your home is the largest energy expense in most homes, representing up to 50% of your home’s energy use. This creates massive bill spikes in the winter and summer to keep your home comfortable. Our Inspire One subscription plan takes your entire year’s energy use and creates one flat price to help you balance your payments throughout the year. Can I share Inspire with my friends and family? Yes. We are committed to building a community of members who want to make a positive impact on their environment and share the love! As an Inspire member, you will receive a unique referral code that you can send to friends and family to join this community. For each friend that signs up, we'll send you a $25 referral bonus and send your friend a $25 sign up bonus. There are no limits to how much you can earn! I am an Inspire member and I referred a friend to join Inspire. When will we receive our referral rewards? As an Inspire member, you will receive your $25 referral bonus as soon as your friend starts service! Your friend will receive their $25 sign up bonus after they’ve been with Inspire for two billing cycles. Does Inspire offer other rewards for signing up? Yes. Click here to see Inspire plans available in your area. Each plan has its own unique rewards. My plan comes with an annual cashback bonus. Will I be eligible for this bonus every year? Yes. Your annual cashback bonus is our way of saying “thank you!” for choosing clean energy. This bonus is eligible to be redeemed each year on the anniversary of becoming an Inspire member. Your cashback bonus is calculated as a percentage of your Inspire supply charges. You will receive an email when it is time to redeem your bonus, or you will receive a letter in the mail if there is no email on file. Will my annual cashback reward appear as a discount on my bill? No. Our cashback and referral rewards are mailed as prepaid MasterCards that can be used anywhere that accepts MasterCard. What is Reduce & Redeem? Have you ever been rewarded for turning down the thermostat or turning off the lights? Now you can! Reduce & Redeem is Inspire’s revolutionary rewards program that actually pays you in the form of a bill credit when you use less energy. We believe the cleanest form of energy is the energy you don’t use. Is Reduce & Redeem available in my area? Currently, Reduce & Redeem is only available to members in Pennsylvania who enroll in our Inspire One clean energy subscription plans. We’re continually adding new markets, and hope to offer Reduce & Redeem to all members in the future. Check your welcome email to see if you have been enrolled in the Reduce & Redeem program. In addition to Reduce & Rewards, which is currently only available in select markets in Pennsylvania, all members can earn rewards through our Give $25, Get $25 Refer-A-Friend program. Our variable and fixed plans also include a sign-up bonus and cash back rewards. How does Reduce & Redeem work? Earn 3 total “Wins!” anytime during your term (months do not need to be consecutive). Those 3 “Wins!” will automatically earn you a bill credit equal to ⅓ of your monthly subscription price on your next months bill. How do you calculate my energy forecast? Your energy forecast is determined by how we expect your usage to change throughout the course of the year and adjusted based on how much energy you have used historically. How do I earn my bill credit? When you use less energy for any 3 months (months do not have to be consecutive) during your subscription terms you’ll earn a bill credit that is automatically reflected on your next month’s bill. Your bill discount is customized to you, just like your clean energy subscription price. How much will my bill credit be with the Reduce & Redeem program? After you enroll in an Inspire One subscription plan, you’ll receive a welcome email with your potential bill credit amount. Your bill credit is approximately ⅓ of your subscription price. So if you pay a flat rate of $89.99 every month, your bill credit is $30. This ensures all our members get a reward that’s valuable to them. You must be an Inspire member to receive any rewards you earn. If you cancel your Inspire One membership before the end of your term, you’ll no longer be eligible for the reward. Do I have to use less energy for 3 consecutive months to earn my bill credit? No. While the planet would love you to use less energy each month, we understand that your energy needs vary throughout the year. That is why we have made it easy for you to earn your bill credit. All you need to do is use less energy than your forecast ANY 3 months during the terms of your plan. When you renew your Inspire One plan, the program then restarts and you’ll be back on track to earning your next reward. How does Inspire track my actual energy usage compared to my forecasted usage? We take data points like weather patterns, historical energy usage, and monthly meter reads to develop sophisticated algorithms that produce a customized energy forecast to compare against your home’s actual energy usage. Every month we take a meter read from your home to understand exactly how much energy you’ve used. We then compare that actual usage against your unique energy forecast to determine whether you have used less or more that month. You must enroll with 15+ days of Inspire supply service in the first billing cycle to participate in the first month of Reduce & Redeem. If you enroll with fewer than 15 days of Inspire service, you can participate in your second month. If it’s a hot month and your usage goes up because the A/C is running, that’s understandable! Our forecast should have expected you to need a little more energy and it doesn’t mean you can’t win. So long as your usage goes up by less than your forecast, you are using energy more efficiently. Bottom line, if you use less energy than forecasted for the month, you’re on track to win! How do I track my monthly energy usage and rewards progress? Don’t worry, we’ve got you covered! Each month, we’ll send you an email summary of your monthly energy usage and inform you if you’ve used less than your forecast! You’ll also be able to track your rewards progress and get customized tips to save energy. What can I do to use less energy to earn my rewards? Your monthly energy performance emails will also have quick tips on how you can do simple things around your home to save energy. Can I earn more than one Reduce & Redeem bill credit during my subscription term? No. Currently, you can earn only one bill credit per year through the Reduce & Redeem rewards program. We are continually working on improving this program which would include being able to win cash rewards more frequently. Separately, all members can earn unlimited cash rewards through our Give $25, Get $25 referral program. Is there some legalese I can read? The terms and conditions of this program are found here in the FAQ. Be sure to check your official start date email that includes Reduce & Redeem program details specific to you. Of course, as we will be constantly improving our Reduce & Redeem rewards program, Inspire may revise these terms and conditions at any time. These terms and conditions were last updated on September 27, 2018. If we’ve updated these terms after we sent you your start date email, please give us a call at (866) 403-2620 to check which terms apply to you. What is Smart Energy? Does it make sense for my home? We define Smart Energy as the perfect blend of our clean energy subscription plan paired with smart home devices and Inspire Smart Home app (available on Google Play or the Apple App Store) to make homes even more energy efficient. While our clean energy plans connect your homes to clean energy, our smart devices help your home become even more efficient. Because we believe that the cleanest form of energy is the energy you don’t use, we understand that reducing your home energy use is the single most effective way to reduce your carbon footprint and also save money. Our Smart Energy plans are perfect if you are looking for a way to make a big impact on your energy bill by streamline your home’s climate control. What type of Smart Energy plans do you offer? I already have a programmable thermostat. How is a smart thermostat different? Most programmable thermostats allow you to set your temperature on the thermostat directly, in addition to creating climate programs during the day. A smart thermostat connects to your home’s network to offer more adaptability and control of your home’s climate. In addition to creating climate programs, smart thermostats will allow you to control your homes climate from anywhere in the world. This level of access will help you adjust your thermostat to reduce your energy consumption if plans change. The Inspire Eco Smart Thermostat can help streamline your home’s energy usage by automating your climate control. Talk about feeling cool and calm! When will I get my devices? If you chose a 24-Month plan with an Ecobee3 Lite Thermostat, it will ship immediately after your Smart Energy Subscription plan is activated. Once your plan is activated, your device will arrive in 5–10 business days. If you chose a 36-Month plan with the Inspire Eco Smart Climate bundle, your device will be delivered to you by our Smart Energy Experts on your installation date, which can typically be scheduled within one week of joining Inspire. How do I install or set up my devices? Installing your new Ecobee Smart Thermostat is easy. Once you receive the package, it has all the information and tools you’ll need to install your Smart Thermostat and get it up and running. Installing your new Inspire Eco Smart Thermostat is a breeze. That’s because we take care of the installation and set up for you! My plans changed. Can I reschedule my Smart Energy installation appointment? Of course! If you are unable to make your installation appointment, just contact our friendly member support team through email, or call us at (866) 403-2620 so that we can find a better time that works. How do I get the Inspire Smart Home app? The latest version of the Inspire Smart Home app is available for download in the Apple App Store or Google Play Store. What can I do with my Inspire Smart Home app? With the Inspire Smart Home application you have the ability to control the connected devices within your home and access rich energy usage data from anywhere. Whether it’s your smart lights or connected thermostat, you can access them on the go and ensure your settings are exactly how you like them at all times. Provide smart control capabilities to every member of your household with Inspire’s Smart Home app and ensure that energy consumption efficiency is top of mind for every connected user. Our goal is to create the best single source of control for your home automation and energy needs. We’re continuously improving and adding functionality and welcome your feedback and ideas. Want to get in touch? Email us at product@helloinspire.com. Climate: Access thermostat control functionality. Control: Access lighting and outlet control functionality. Energy: Access energy consumption history, personal energy usage impact data, and bill history information. Feed: Access app activity and notification history. Climate Tab Functionality: Control and edit the settings of a connected smart thermostat. Temperature Control: Ability to adjust temperature by tapping control dials up and down or manually scrubbing vertically with your thumb. Create a climate schedule that allows you to automate your temperature control settings. Create a schedule that implements a temperature range on the day and time you prefer. Create multiple schedules to ensure your home is always at the perfect temperature. Heat Mode: Put HVAC into heat mode. Cool Mode: Put HVAC into cool mode. Auto Mode: Ability to set a temperature range. System will allow temperature to fluctuate within the custom range. System Off: Disable HVAC system. Fan Control: Enable and disable fan. Space edit: Ability to edit space assignment. Ability to re-pair device with system. Control Tab Functionality: Control and edit the settings of connected smart light bulbs and outlets. Lighting: Global light control: Turn on or off all connected lights. Light bulb control: Turn on or off individual connected light bulbs. Light bulb dimmer control: For light bulbs that support dimming, select the light bulb title to display bulb brightness scrubber. Outlets: Global outlet control: Turn on or off all connected outlets. Outlet control: Turn on or off individual connected outlet. Note: You can lock outlets to exclude them from bulk actions. Spaces Control Functionality: Group and control devices by custom groups. Spaces are assigned when devices are added to your Inspire account. All spaces will be controllable within the “Spaces” tab. From the Spaces tab, you can apply group control actions and control devices individually. Energy graph: View energy usage compared to Inspire forecast. Select nodes along the graph to view energy usage data. Impact summary: View carousel of personal energy savings impact calculations. Bill history: View bill history by month. Bill history displays charge amount and visual representation of energy usage compared to other months. Feed Tab Functionality: View history of all the device control actions taken within the application. Activity: Activity collects a history of all device control actions that have occured within the application today. For example, setting the thermostat temperature within the application will prompt an activity item that could read “Thermostat temperature set to 70°”. Notifications: The Notifications feed collects all of the notifications that Inspire has sent the user. The user can review a history of all received notifications. What if I need additional help installing my devices? No problem. Contact our Member Support Specialists at membersupport@helloinspire.com or (866) 403-2620 and they will assist you with installing your devices. Do I still need other apps to control my devices? If you selected a plan that came with an Ecobee thermostat, you only need to download the Ecobee app for the purpose of installation. Once the Ecobee has been installed and linked to the Inspire Smart Home app, you will then be able to control all your devices using the Inspire Smart Home app. For all other Smart Energy plans, our Smart Energy Experts will professionally install and set up your devices for you and you will use the Inspire Smart Home app. I already have some smart devices in my home. Does the Inspire Smart Home app support these devices? We're constantly adding support for new devices and platforms. What if I have more than one thermostat? The Inspire Smart Home app supports multiple thermostats right out of the box, so just add your thermostats by going to the “Control” tab and select the option to add a non-Inspire device and select your device. Can more than one person use the app to control the devices in my home? Yes. Anyone that lives with you or has permission to access your devices by connecting to their accounts will be able to use the application to control the devices. Can I use the Inspire Smart Home app to control my devices in multiple homes? Not at this time. We are currently working on developing multiple home support which will be coming soon. You’ll be able to easily switch between each home to control the devices within them. No logging in or out required. What happens if I change the Wi-Fi settings within my home? In the event that you switch internet providers or change the password to your existing Wi-Fi network, your Inspire Eco Smart Thermostat will need to be updated with the new information. To reconnect your thermostat, open the Inspire Smart Home app and navigate to your thermostat Settings page. If your device has become disconnected to your Wi-Fi, this page will display a “DISCONNECTED” badge at the bottom of the Settings page. To reconnect your thermostat, tap the “DISCONNECTED” badge and follow the steps to reconnect to your Wi-Fi. If you encounter any issues with reconnecting your device, please reach out to our member support team at membersupport@helloinspire.com or call us at (866) 403-2620. Is the Inspire Smart Home app secure? Inspire is committed to protecting our members' privacy. Inspire products and services use the Secure Sockets Layer (SSL) protocol for connections to ensure the highest level of security. The SSL protocol is commonly utilized by banks, government agencies and e-commerce sites to ensure privacy and the protection of personal information. What happens with my smart devices at the end of my contract? Our Smart Energy plans are designed to connect you to clean energy for a specified length of time. That means you get to enjoy a flat rate plan for your energy supply throughout the term of your contract. Any devices that came with your plan are yours to keep at the end of your contract. My Inspire Smart Energy devices stopped working. What should I do? If you have any trouble with your Inspire Smart Energy devices, contact our friendly Member Support Specialists at membersupport@helloinspire.com or (866) 403-2620 to work through troubleshooting your device. I like my Inspire Smart Energy devices, but I want to cancel my clean energy subscription. What do I do? To optimize your home's energy efficiency, we have designed our smart home devices to work alongside our clean energy subscription. If you would like to cancel your clean energy subscription, you can still enjoy your Smart Energy devices to control your home’s climate. Just contact our friendly Member Support Specialists at membersupport@helloinspire.com or (866) 403-2620 to help you with your request. What is your device return policy? Our Inspire Smart Energy devices can be returned for a full refund within 7 days of installation. After that time, we can only offer an exchange for devices that are found to have a defect. Our Inspire Smart Energy devices come with a one year warranty period. During that period, if you encounter trouble with your device, we will help you troubleshoot the issue and if it is determined to have a defect, we will replace it for you at no cost to you. If you would like to return your device within the 7 days of installation, please contact our Member Support Specialists at (866) 403-2620. I am having trouble with a device. What should I do? If you need help with a device that has stopped working, please contact our Member Support Specialists at (866) 403-2620 and we will get you back on track.